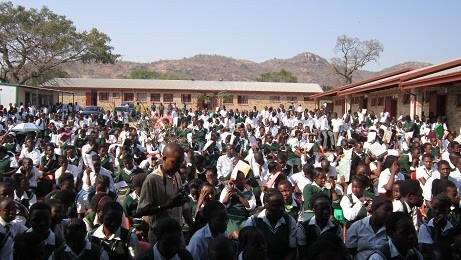 Fundinjobo High School in Phakani Village, Zwelitsha Trust in Mpumalanga. The donation includes school uniforms for 40 learners as well as a fence to secure the school from intruders. The Eskom Development Foundation has extended a helping hand and made a donation to Fundinjobo High School in Phakani Village, Zwelitsha Trust in Mpumalanga. “The donation includes school uniforms for 40 learners as well as a fence to secure the school from intruders,” the foundation said in a statement. Established in 1999, Fundinjobo High School was named Zwelisha Secondary School because no secondary school existed at Zwelisha Trust but then moved to Phakani Village, where its name was subsequently changed to Fundinjobo. The Eskom Development Foundation said the school was located in an underprivileged area where most of the community members were originally from Mozambique and Swaziland but were now naturalised South Africans. The Eskom Development Foundation’s chief executive officer, Cecil Ramonotsi, said the organisation was driven by its commitment to helping improve the quality of life for as many South Africans as possible. “As Eskom, we are concerned about more than just keeping the lights on and are always on the lookout for ways we can make a meaningful difference in some of the poorest communities,” Ramonotsi said.